Adam is in the U.S. Navy, stationed in Hawaii. 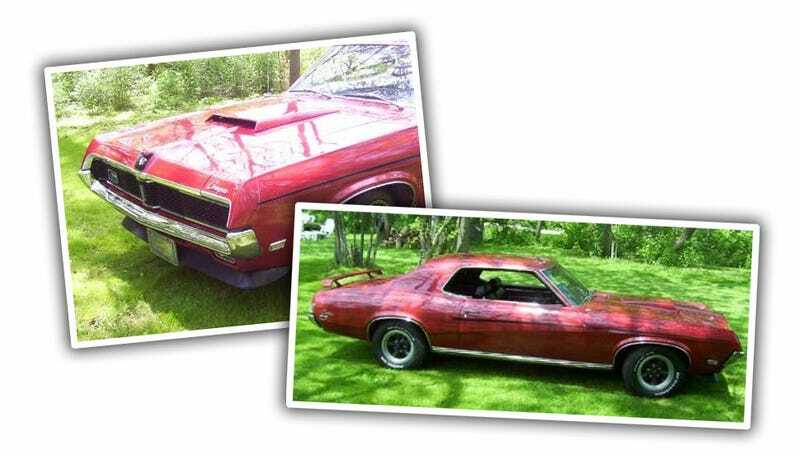 Adam, like many of us, had a car he really and truly loved: a 1969 Mercury Cougar. Unfortunately, Adam had a moment of responsibility/foolishness and sold the car back in 2002 or 2003. Now he wants it back, and needs our help. The Internet found your car. I followed the story religiously down in FL and now in Hawaii, where I am currently stationed with the US Navy. Just today, my mind was thinking - “why can’t I ask the help of the Internet to find my old car” that I’ve been searching for? Long story short, I sold my 1969 Mercury Cougar when/around I went into the US Navy back in 2001. I think I sold it in 2002/2003 as it was in my mothers name and I was gone long away from home and she sold it, whatever - the car was sold. I know where the car is (90% sure it’s still in SE Michigan) but I just don’t know where. Basically, I want to buy it back! I’ve heard rumor, speculation and have even been told by my friends that they have seen the car, still, in the local area of Southeastern Michigan but they don’t know who has it and they were never able to chase it down. Are you interested in this? I don’t know how it could be helpful as I’ve tracked down the original VIN, ran it with no luck, talked to the Secretary of State that says the car was never re-registered after the car was sold and the SoS HQ in Lansing, MI won’t give me the new owners name. So, if anyone is in southeast Michigan, and has seen this car, please let us know — based on the condition it was in as seen in the pictures, I suspect it’s likely someone’s prized possession, so I’m sure some sticky negotiations would entail if we manage to help find it. Still, hunting down a beloved car is always a worthwhile venture, so maybe we’ll have some luck? Good luck, Adam! Let’s see what we can find out.